Watch Doctor Who Season 9 Episode 8 online via TV Fanatic with over 7 options to watch the Doctor Who S9E8 full episode. Affiliates with free and paid streaming include Amazon, iTunes, Vudu, YouTube Purchase, Google Play, Amazon Prime, and Verizon On Demand. 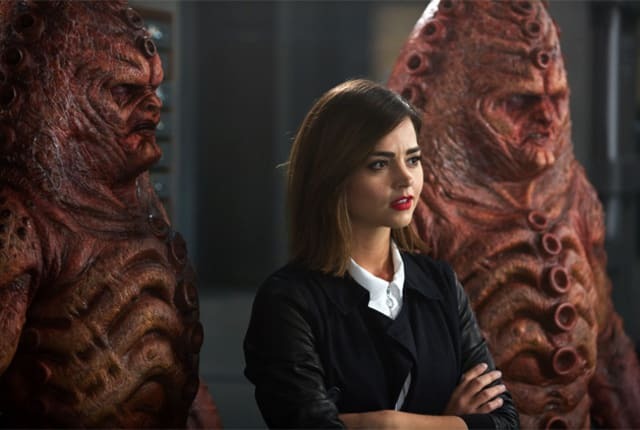 The Zygons have the upper hand, as UNIT has been neutralized and Clara is not herself. Is war inevitable on Doctor Who Season 9 Episode 8? Is there anything the Doctor can do to save his friends? Kate: Then why did you leave the gas with us? The Doctor: The boxes are safeguards for both species. Permalink: Let me negotiate peace. You can't commit mass murder. Osgood: Never really met Clara. Pretty strong, yeah? The Doctor: She was amazing. Osgood: No, not was... is. It's not from the Zygon. It's from Clara. Osgood: She's not dead. She's in a pod somewhere. Permalink: Never really met Clara. Pretty strong, yeah?